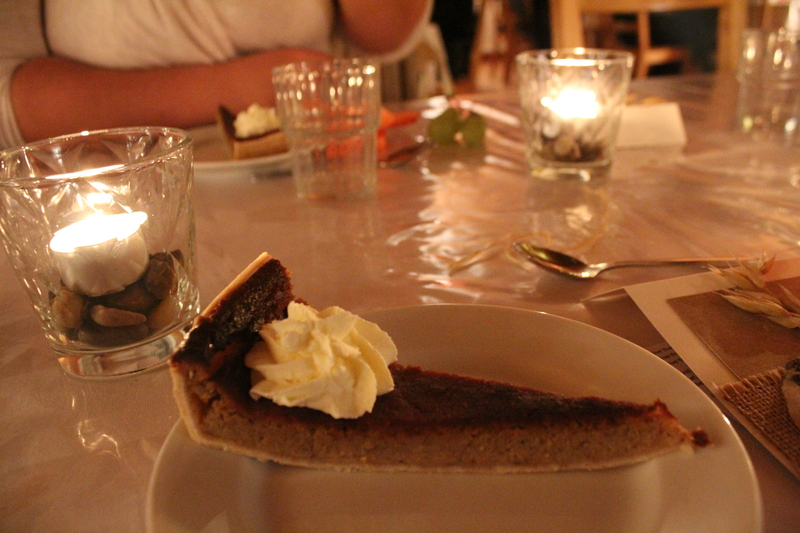 Even though I’m British, spending last year with some Americans and Canadians has made me more aware of the traditional holiday of Thanksgiving. 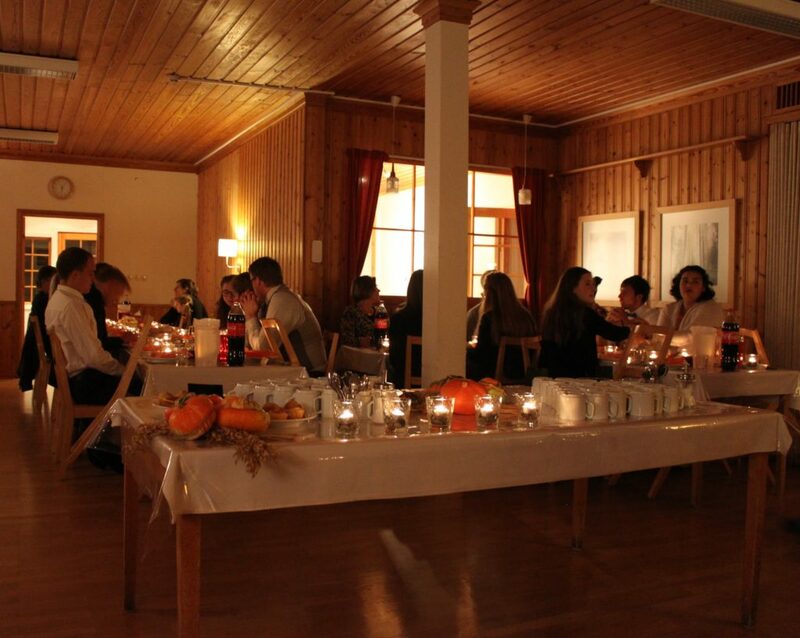 A few weeks ago, we had our own Holsby version of Thanksgiving, called ‘Höstfest’… it’s Thanksgiving with a Swedish twist! 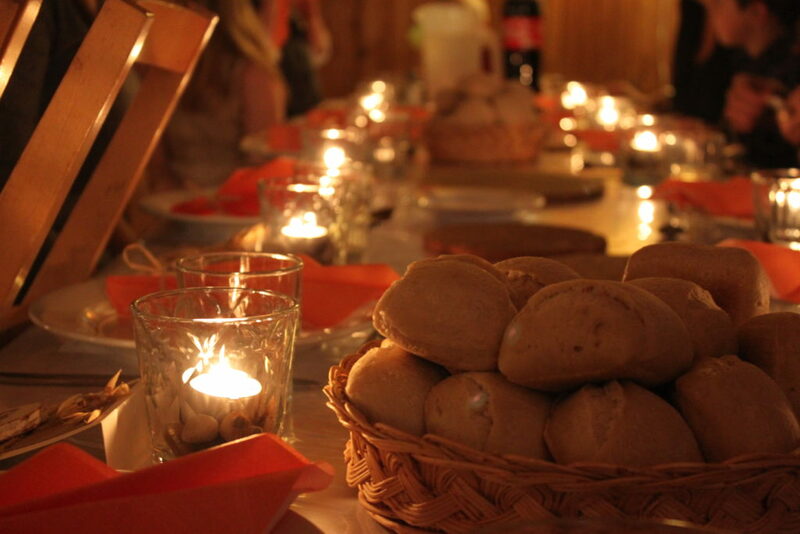 The purpose of Höstfest is for all the staff, students and guests to gather together, spend time in fellowship with one another and to take time thinking on the good gifts we have from God. Our theme this year was ‘God’s provision,’ and we started off the evening with a great Thanksgiving dinner. Brad (our chef) brought out the centerpiece of the evening, a huge turkey with sparklers, with the ‘Halleujah’ chorus playing in the background. There was much conversation and laughter as we ate and enjoyed the abundance of food the kitchen gave to us! After singing ‘Give Thanks with a Grateful Heart’ together (in both English and German) and a devotion by Luke on Philippians 4v11-13 (strength to be content in the sufficiency of God’s provision), we sat in our family groups and talked on the theme of the evening, sharing with each other about the way we saw God’s provision in our lives. Some responses included family, being able to come to Holsby, fullness of joy, the fruit of the Spirit, the beauty of nature, the act of restoration, forgiveness, the blessing of community and for giving life to us. It was a special time as brothers and sisters in Christ were honest with one another and could share stories of God’s generous heart toward us. 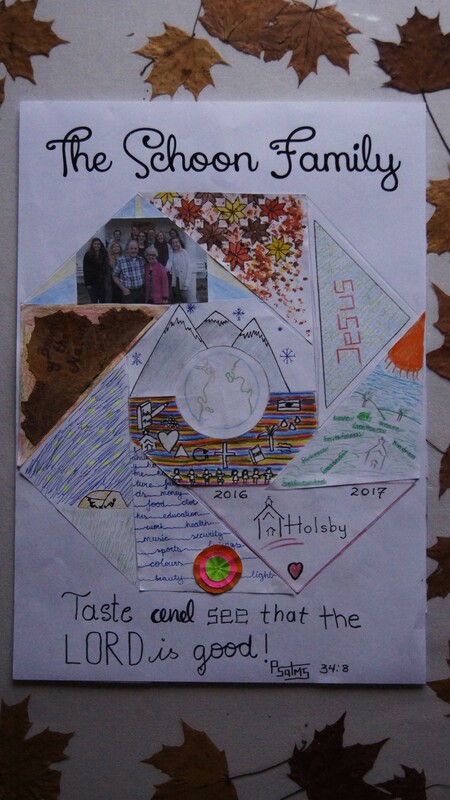 Following this, each family group put together their very own patchwork, combining all the individual responses to the theme of the evening. Here’s an example of the Schoon family’s creation. They are now displayed in our dining room to help us remember God DOES provide, and He is faithful. For me, one of the biggest blessings of the evening was seeing what the children had drawn, one picture being of the cross and the empty tomb. A reminder to all that God’s biggest provision for us is the death and resurrection of His Son! All in all, Höstfest 2016 was a great time of reflection, praise and community, looking back on all the many blessings God abundantly gives us. 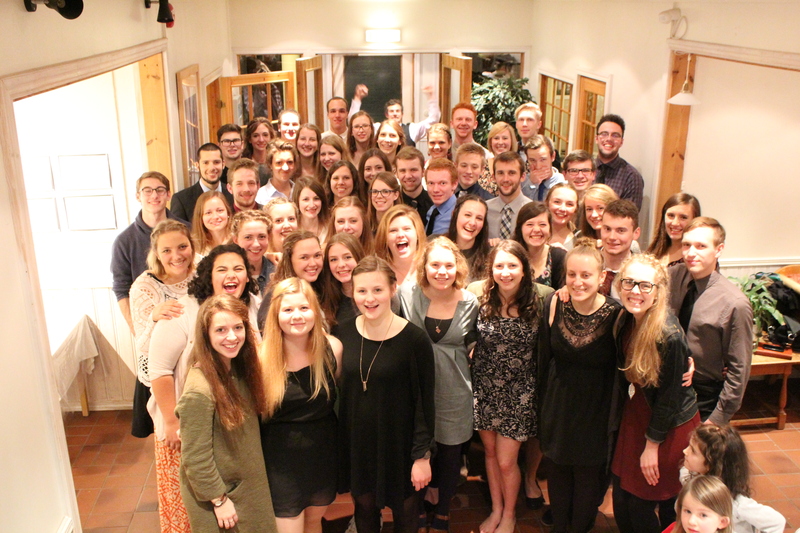 The time together concluded with much laughter, very full stomachs and lots of pictures! Ahh Fika a favourite pastime when I was at Holsby many,many years ago. oh, the sweet memories of Holsby! I remember our Höstfest (in 1999)well: this was my first time to eat both baked turkey as well as corn on the cob (I am from Estonia). So when I tried to bite into my corn, half of it landed on the shirt of the guy sitting across the table from me!